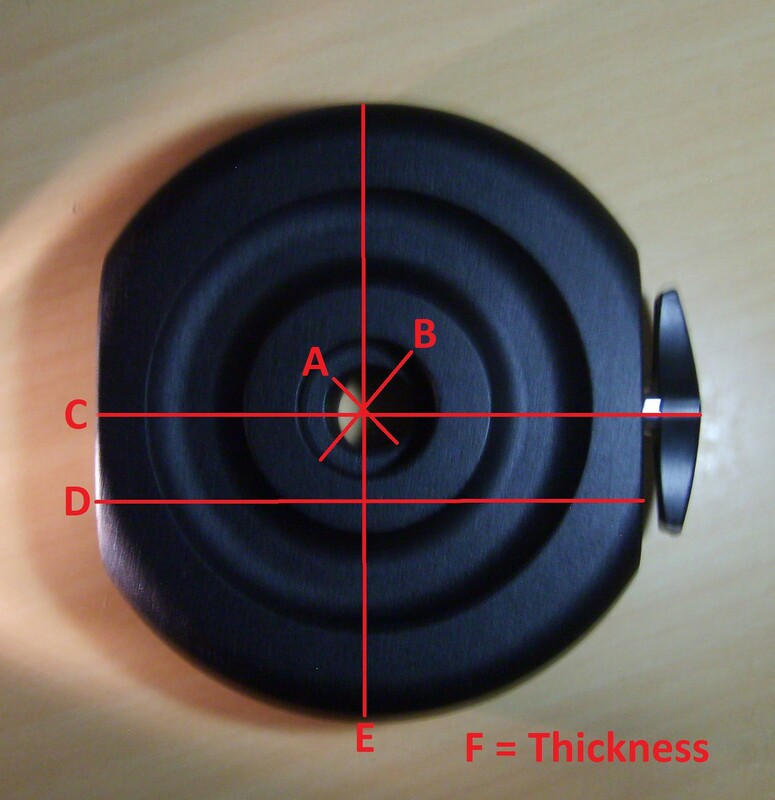 As for the thickness, F, there are really two important thicknesses to consider. Ummm… not so much stress on the word “important”, here! First is the overall thickness, which is 47 mm. The second is the thickness measured along the portion of the central hole which is in contact with the counterweight shaft. This distance is 35 mm. So, the depth of the countersunk hole widening which allows for the counterweight to be extended beyond the end of the counterweight bar, stopped by the safety bolt on the end, is 12 mm. Last edited by Carl-Ericsson on Tue Apr 03, 2018 8:36 am, edited 1 time in total.